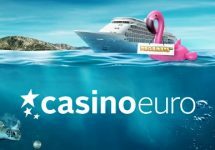 Casino Euro – €20,000 Halloween Prize Draw! Trick or treat? 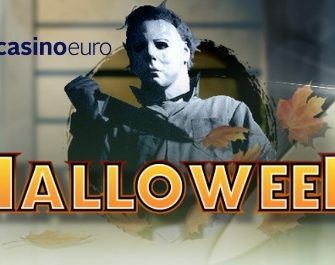 Put on your best costume and come in for a bite of this year’s €20,000 Halloween prize pool when you join the spooky raffle at Casino Euro. Play on the latest Microgaming slot for double entries to the final draw or on other selected slots for one ticket for every €20 wagered. But that’s not all! Collect a special Halloween treat with up to 100 Free Spins when you collect enough tickets. 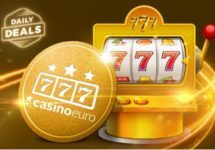 11th to 24th October 2017: Casino Euro – €20,000 Halloween Prize Draw! Catch fang-tastic prizes from the €20,000 Halloween raffle at Casino Euro. Play Halloween themed slots to collect unlimited tickets until 24th October 2017. All prizes are cash, no wagering requirements. Earn two tickets to the draw with the new hair-raising Halloween Online Slot for every €20 wagered. Earn one ticket to the draw with the scary Lost Vegas and Beautiful Bones for every €20 wagered. 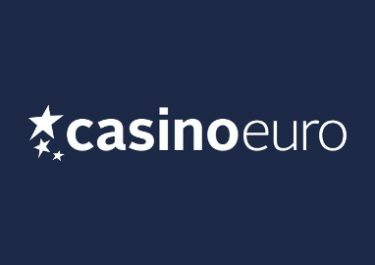 On 26th October 2017, Casino Euro will randomly draw 84 winning tickets and will allocate the prizes in order the tickets are drawn. All prizes will be credited in cash by 17:00 CET on the same day. Enjoy a special Halloween treat as you collect tickets to the raffle. All players can earn the Free Spins during the promotional period. Spins instantly credited once the amount of tickets have been earned. 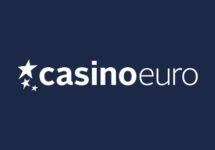 Wagering requirement is 15x FS winnings within five days, subject Casino Euro bonus terms and conditions, read them carefully.